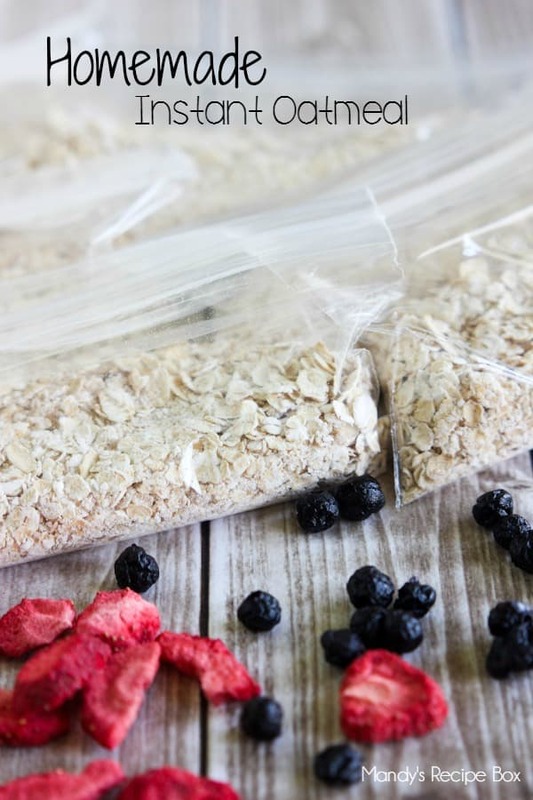 If you like quick and convenient recipes, you’ll love this Homemade Instant Oatmeal. In less than 5 minutes you can made a big batch of your own instant oatmeal customized to your taste. Hey guys, it’s Mandy back from Mandy’s Recipe Box. I have a life saving recipe today. Maybe not life saving but it’s pretty darn awesome. Except if you’re a mom, this very well could be life saving. Because less stress on mom = no household members lives’ in danger, so there you go. I love instant oatmeal. Blueberry and strawberry are my favorite flavors. But for like 6-8 packets they aren’t cheap. 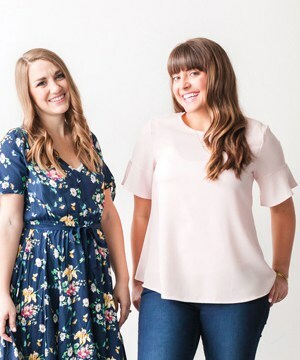 You can make your own for way less and you can add anything you want to make it yours. Add M&M’s if you want, there’s no judgement here. 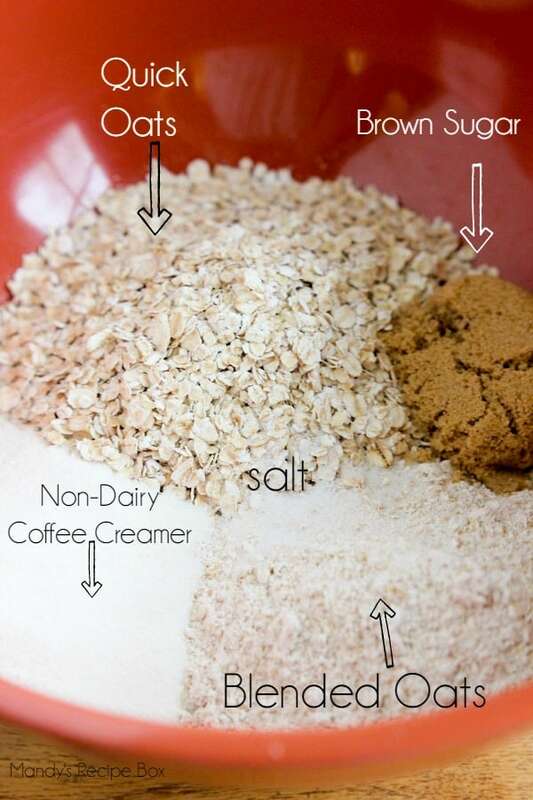 Quick oats, blended oats, salt, brown sugar and non-dairy coffee creamer are the base to homemade instant oatmeal. By blended oats, I mean you stick some oats in a blender and blend them until powdery. That’s the trick to making it awesome. Then just stir it all up and divide it out into 1/2 cup portions and place it in snack sized bags. Or keep it in one container and measure out 1/2 cup portions at a time. When you make a bowl of this, add in any fruit, nuts, extra brown sugar or maple syrup. I like freeze dried strawberries or dried blueberries in mine. I just add them in when cooking. The instructions for that are included in the recipe below. I used non-dairy coffee creamer rather than powdered milk because it can go moldy if you don’t use it fast enough. If you prefer the powdered milk and will be eating these before too long, go ahead and do that. I hope you like this recipe and that it saves you some time this summer or when school is back in session! 1-2 cups brown sugar, depending on how sweet you like it. Place 7 cups of the oats in a large bowl. You can do this in separate batches if you don’t have a large enough bowl. 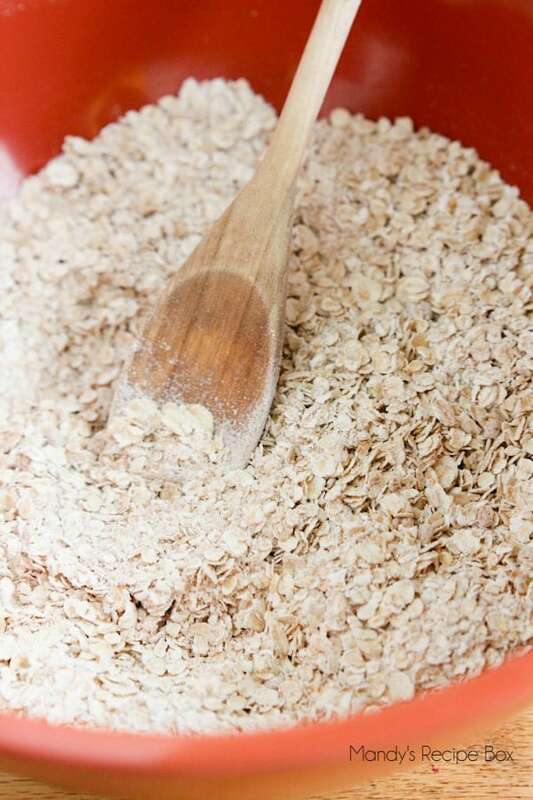 Place 3 cups of the oats in a blender and blend until powdery. Add to the 7 cups of oats in the bowl. Stir in salt, brown sugar and coffee creamer until well combined. 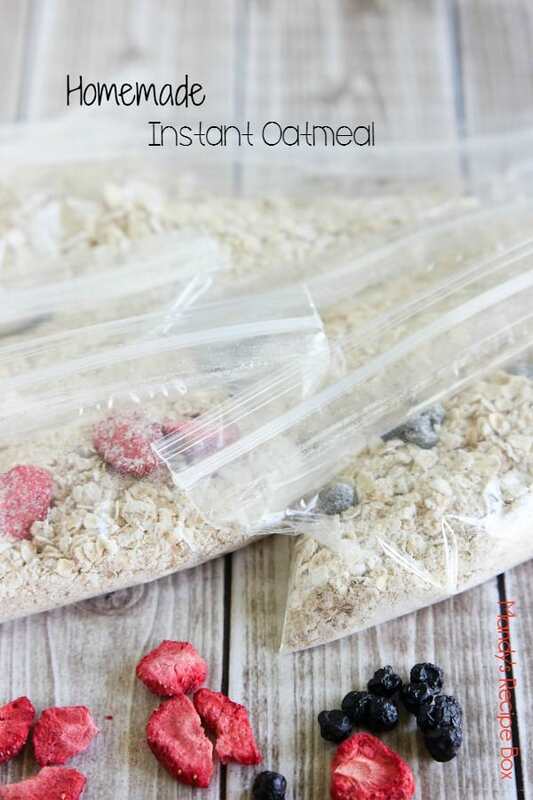 Store in a large container with a lid or measure out 1/2 cup of the mixture into each snack sized ziploc bags and seal. Give these other recipes a try! This is perfect for our crazy summer mornings! I am a huge oatmeal fan but have a tendency to run out faster than I can go to the store. Thanks for the great recipe! !